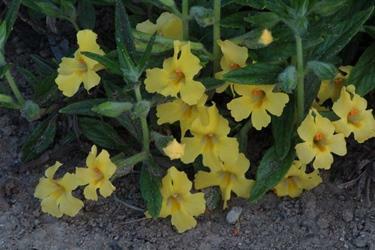 Information on this one is a little hard to get a hold of as the taxonomic name is unresolved. Smaller shrub with very interesting flowers. Plant single or in groups. Will flower dependent on moisture. Frost tolerant. 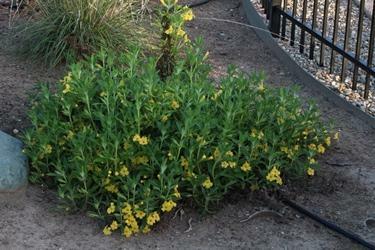 Nice planted with other Diplacus (Mimulus) species for varying colors. Likes summer irrigation after established.